May was a busy month as I transitioned from one full-time to another, as well as did various trips. Those blogs are linked here and here. I am grateful I had a good number of tastings and media events. Enjoy my May Recap! We came to check out this cool place I had seen during previous visits to the Redondo Beach Pier. With both entree items as well as fresh fish market items, this restaurant offered an impressive and unique dining experience. 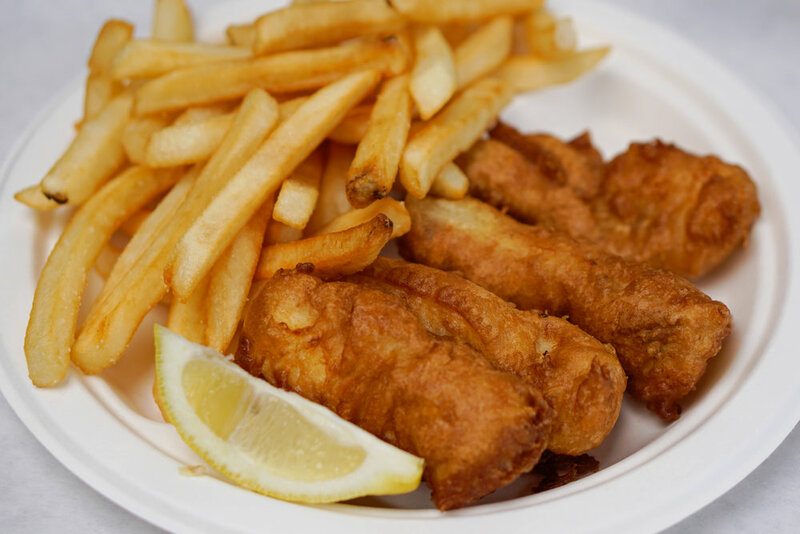 I loved that the fish market had fresh seafood options, and we had the option to get our food deep fried, grilled or sauteed! I loved dining in their patio as well, and the fact that they provided white paper as placemats. I used these to my advantage for taking my photos! 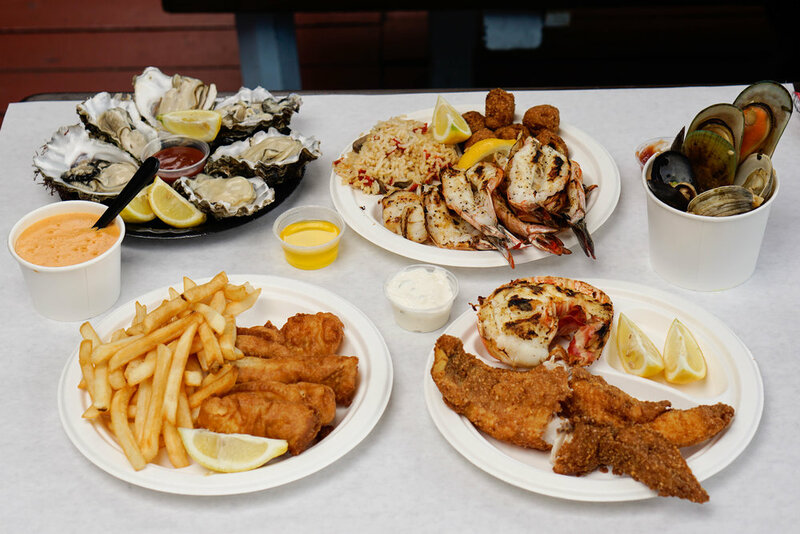 For food, we got Fish & Chips, Sauteed Scallops, Fresh Oysters, Grilled Lobster Tail, Deep Fried Black Cod, and Grilled Jumbo Shrimp. For sides, we got to try Lobster Bisque, Rice Pilaf, Seafood Paella, and Hush Puppies. 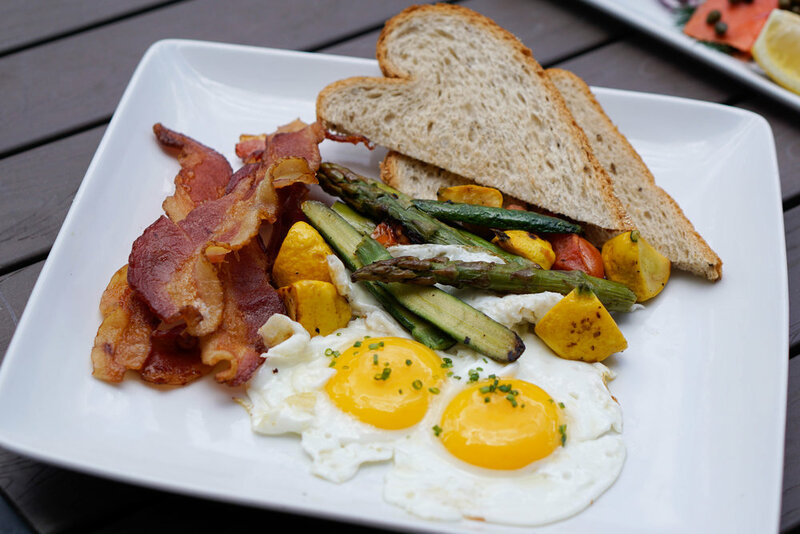 Limerick’s Tavern wanted to promote their new brunch menu, just in time for Mother’s Day. I had driven by this restaurant many times but was always so curious about what they had to offer. 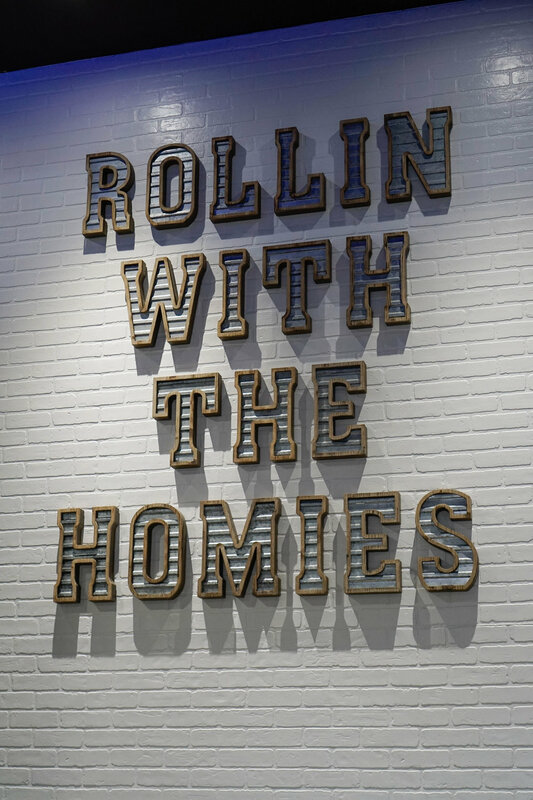 It had the ambiance of a sports bar but at the same time also felt family-friendly. 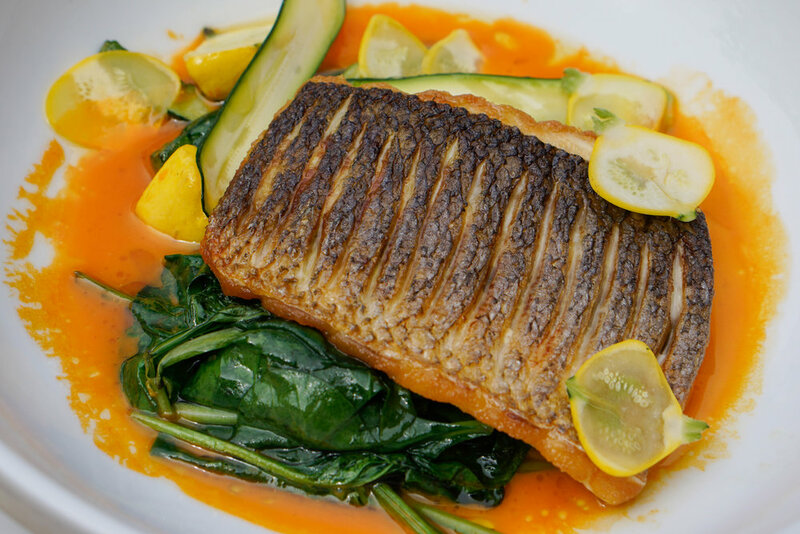 Some menu items we got to try included Deconstructed Salmon Lox Bagel, Crab Cake Benedicts, Scallop Crudo, Pork Chop, and Branzino with Seasonal Vegetables. They were all so well-presented and so delicious! I was impressed with this menu; the chef did such an amazing job! I happened to be in the area during my week off (blog post linked again here!) 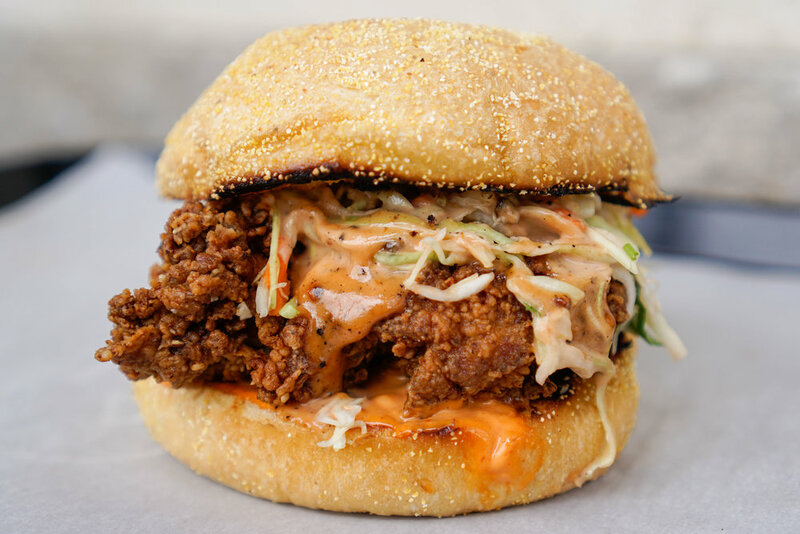 and wanted to check out the Trade Food Hall in Irvine, so I was able to tag along with my friend Adrian to check out Two Birds, which was known for their chicken sandwiches. We got the Bird in the Hand Sandwich and Cottage Fries, with the “make it cheesy” option. Both items were so amazing! I loved how moist the chicken sandwich was. 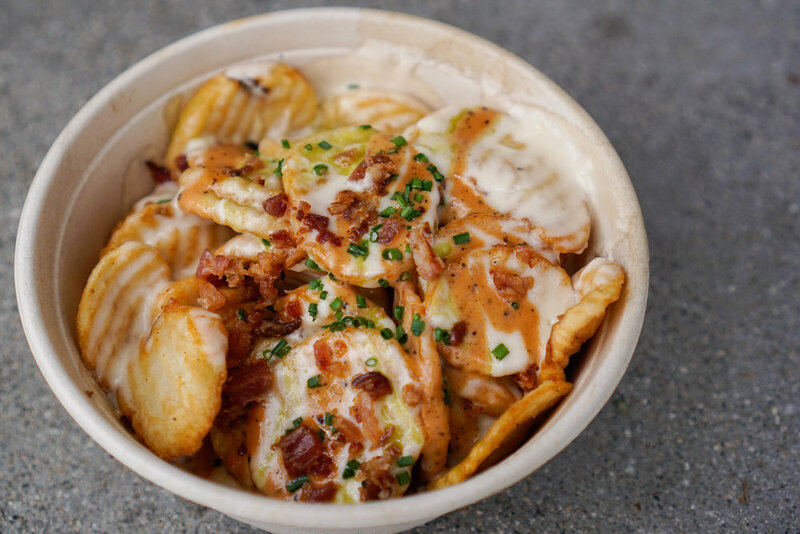 Since I am also a big fan of potatoes in any form, I loved the cheesy-ness of the fries and that the fries had bacon on top! The owner of Two Birds, Andrew Gruel, the owner of Slapfish, came out to introduce himself and offered us a few items from the menu from Butterleaf as well. 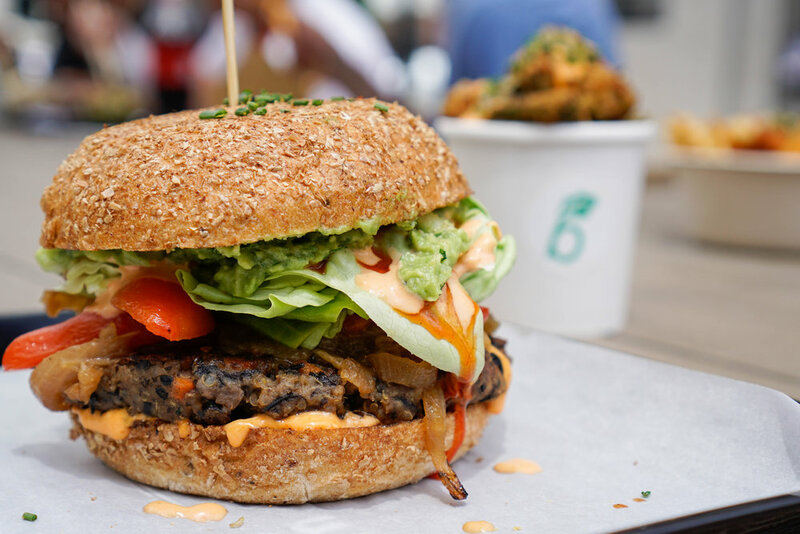 From Butterleaf, we got to try the Signature Butterleaf Burger, Poutine, Avocado Bombs. I was very impressed with how delicious it was, and the fact that it was all vegan! 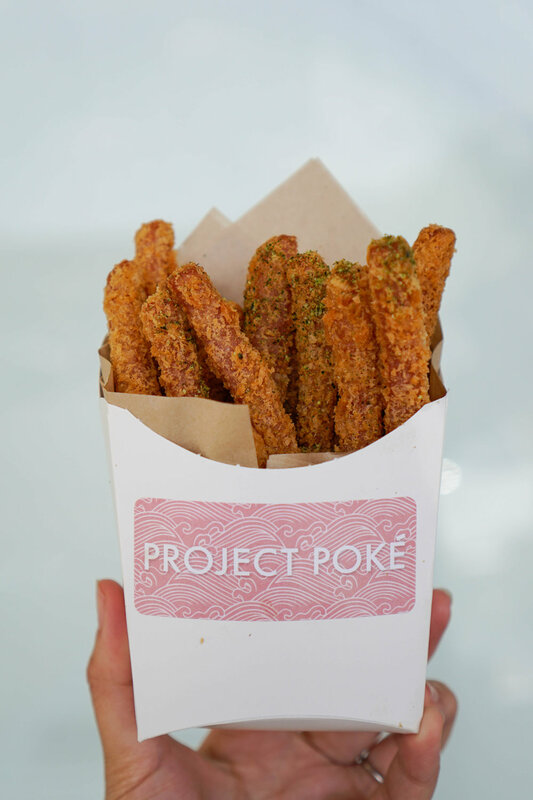 Project Poke invited us over try their new Spam Fries. 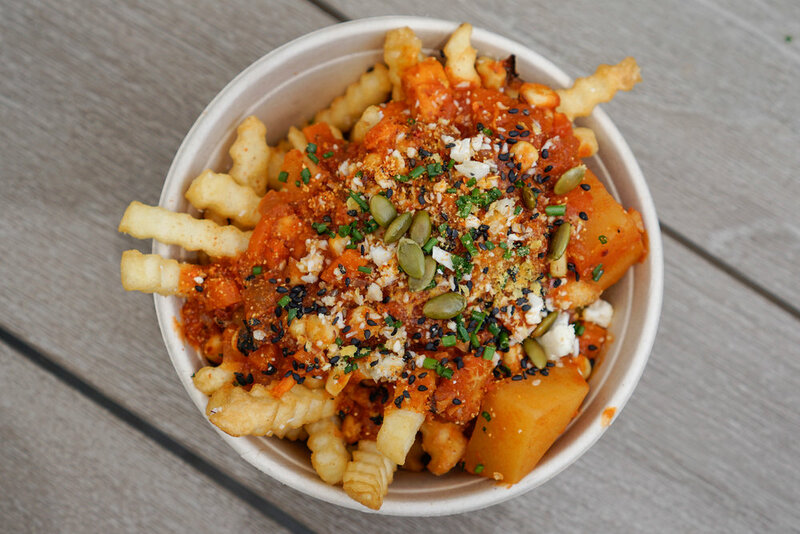 The Hawaiian Pineapple Sauce the fries came with was very tangy, and there was a spicy version as well. 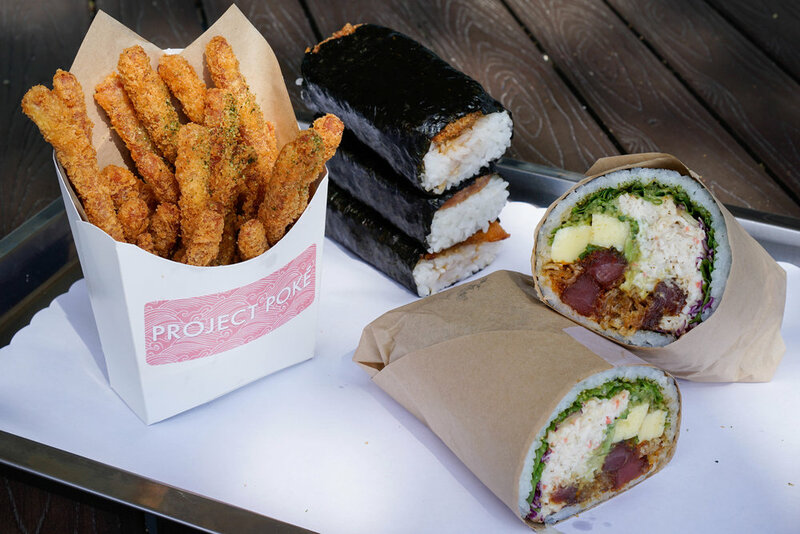 I also tried the Premium Burrito and the various types of Musubis. This was my first time trying out a poke burrito and it was so delicious. I also enjoyed checking out all the musubi options: Spam, Crispy Spam, and Salmon Belly. I still like my Crispy Spam the most! 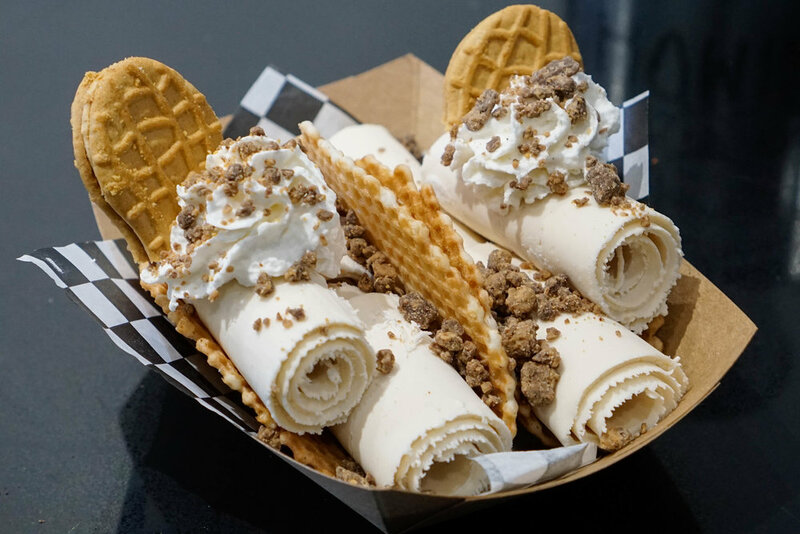 Rollin’ Creamery wanted to roll out their new Rolled Ice Cream Tacos as part of their menu. 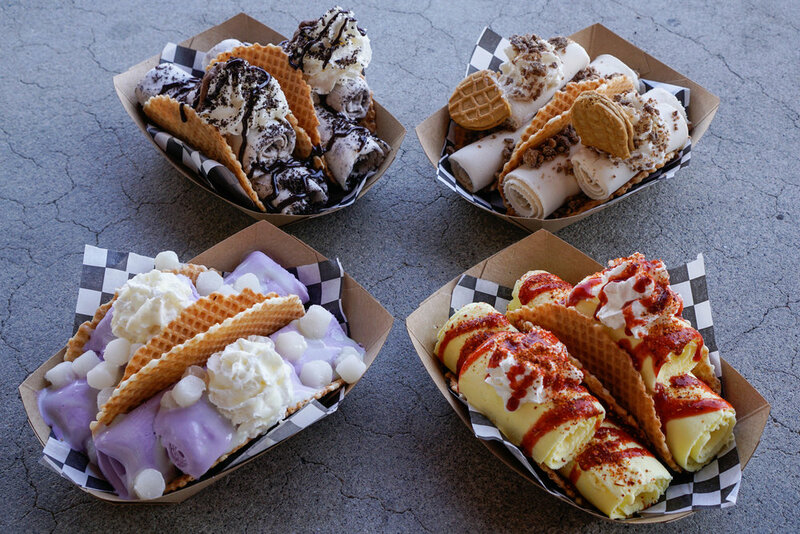 I was happy that there was an ice cream taco design for every ice cream flavor on the menu, rather than it being limited to a few flavors. It was an opportunity to try different things: Ube, Pineapple Chamoy, Cookie Butter, and Black Sesame. 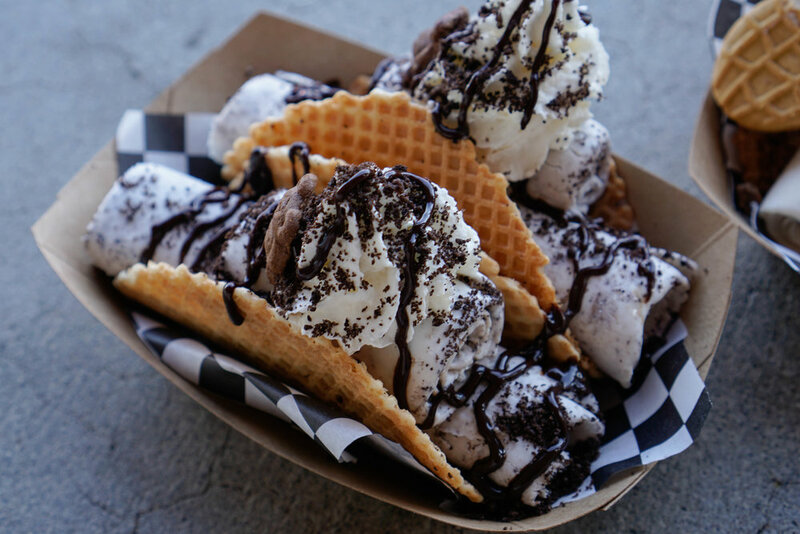 I had previously tried ice cream tacos from the freezer section of the supermarket and the shells were flimsy and stale. 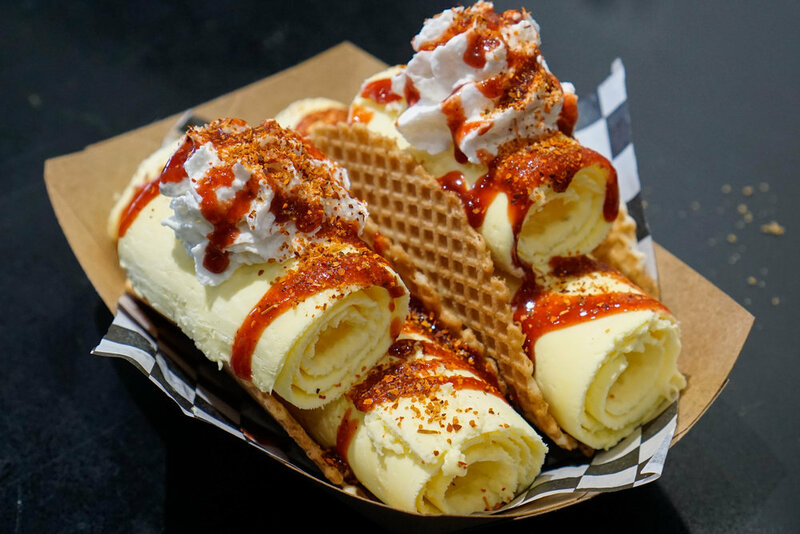 The taco shells at Rollin’ Creamery were made in-house and were very sturdy and crunchy! 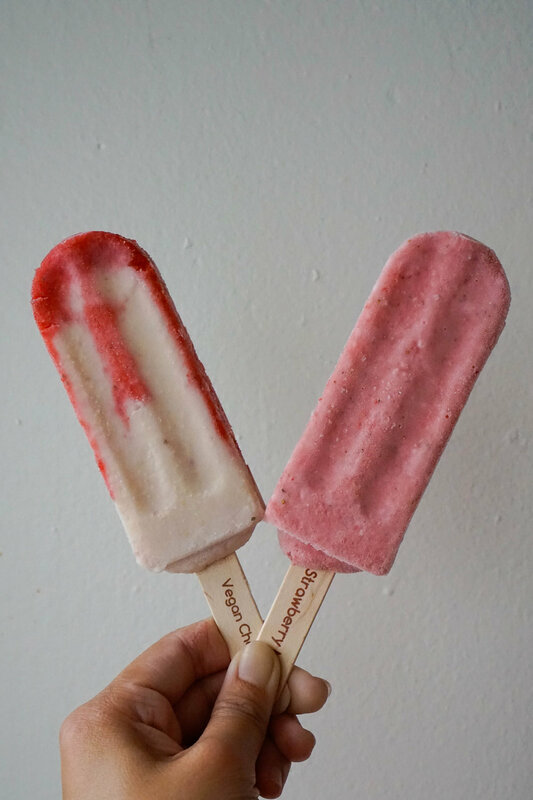 We were invited to try their latest popsicle flavors in time for Memorial Day Weekend. As with my previous visits, I was blown away by the fact that the flavors always keep changing. My newest favorite flavor was Guava! Some other flavors we got to take home were Mango Tango, Watermelon, Blue Vanilla, Passion Fruit, Strawberry Mojito, and Vegan Cheesecake. 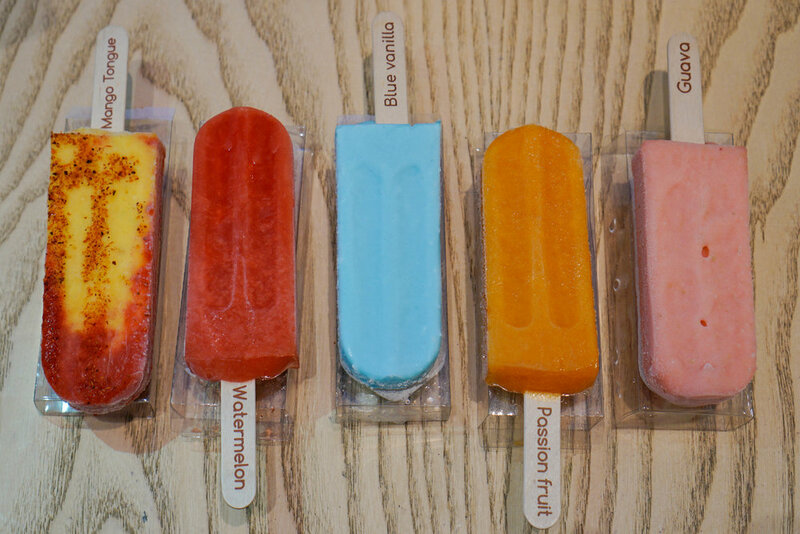 Previously, the Blue Vanilla only came in a small size for children but this time it was a regular sized popsicle. It was awesome building my photos around that blue color and choose fun flavors and colors for the rest of each picture. I hope you enjoyed my May recap and be sure to check out my two travel posts from my adventures in May (again, linked here and here). Thanks for reading!